There is really something about Google. It has the knack of being one of the most innovative we browsers about and there’s a reason for that. Google is well known for hiding tricks and games in the unlikeliest of places. I'm sure you must have stumbled across at least a few of those. Google Chrome isn’t just the place to search for things. It can be a lot of fun as well. So take a break and give your brain a rest with some fun features hidden in Google. We all know what happens when we have no connectivity on Google. T-Rex shows up. And what a lot of us don’t realize is that this is a game. Our dear ‘no connectivity’ T-Rex is an endless runner that jumps over cacti and pterodactyls as they are trying and creates obstacles for you. The longer you run, the more points you score. So how do you play this game? Just hit the spacebar to start the game next time you don’t have connectivity. T-Rex runs. And you use the spacebar to make him jump. It’s that simple. Now, who doesn’t love a good old game of Pac-Man? It’s not the most exciting of games, what with a little girl circle eating some colored dots and being chased by ghosts. But you have to admit it’s addicting as ever. To play Pac-Man on Google, all you need to do is go over to Google search and type ‘google PacMan”. Yes. 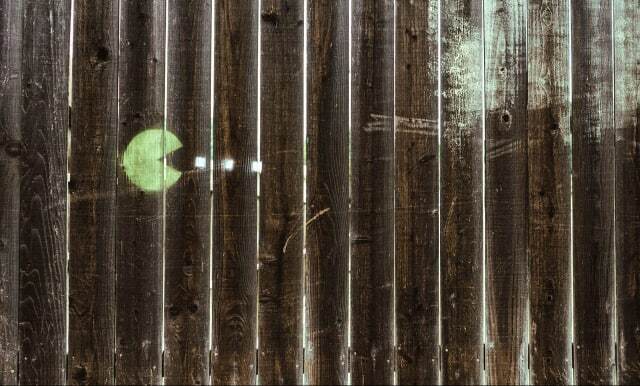 Get set and go show off your Pac –Man skills. Don’t know what each version of Android looks like? Don’t fret? Every time a new update is launched, its icon is somewhere hidden in its version. There isn’t much that you can do with it per se, but it’s neat to know where it is all the same. And it’s always fun to watch what the new version looks like when you get the update right? To get to the icon, go to Settings and scroll to ‘About Phone’/ here you find the Android Version and tap it several times in quick succession. Then the appropriate icon will show up according to your version of Android. Flappy Bird took over the smartphone gaming scene by storm. It was a time waster, needed by many like me, and managed to fill the void many people were looking for when it was pulled off the market, a lot of us were disappointed. But the Android team decided to bring it back with a bit of a twist. And so we have Flappy Droid. To play this game, you need the Lollipop or Marshmallow version of Android. First, find the hidden version icon. Then you tap that icon several times and long press a few times. The game will launch. Enjoy being taken over by your new addiction. Here’s a little fun game to test your geography alone the way. It’s a trivia based games where you answer questions by dropping pins on the map. The further you drop your pin from the answer, that some kilometers decocted from your entire bank. See Also: - How to Deal With Hackers in Mini Militia Online Gameplay? This game is mostly centered on the US, but any limits do not hinder a true trivia master. So go ahead and show off how smart you are about world knowledge. If you are a true blue fan of J.R.R Tolkien, this is the, one for you. Relive the magic they created on screen. Fight a quick battle. Trace any heroes’ footsteps or explore the Middle Earth on your own. Yes! Finally, we have a Lego game where you don’t go around stepping on the tiny blocks and causing your foot a world of pain. Here is the digital platform for you to have all the fun you desire while building your empire. Go to Build with Chrome and start erecting your Lego Land! You can freestyle it or level up with the Build Academy. In any case, you can place your creations on the world map and just let everyone marvel over your masterpiece. Just be honest here. Who doesn’t like a good alien warcraft game? Try this one out if you're a newbie at blowing up spaceships – although that is highly unlikely and if you tell me you haven’t done it I flat out won’t believe you. This one, however, is a slightly more unusual version of attacking and defending. It has an attack in waves, and you can play it quickly. Type Zerg Rush. Hit enter. Then defend your search results against a swarm of invading letters by clicking on each one like you're a maniac – which you will be at one point. Well here’s another Easter Egg for the fans of The Lord of The Rings. This is a Google Map innovation which you will never be able to stop laughing at. Try walking from ‘The Shire’ to ‘Rivendell’ and then Mordor. Google Maps will give you a well laid out route! Isn’t it amazing? And the best part? You get a heedful warning to go with it!! I still can’t get over it. Think this: you have a tight schedule and need to get things done on a deadline. You have a slow clock, and all your caffeine is failing you. Sleep deprivation begins to affect you – you start to see things. You click your home page, and there she is. Rising from your iGoogle theme is the Loch Ness Monster. No, it’s not a hallucination. It’s happening. If you're awake at 3:14 Am and have the iGoogle beach theme installed, Ness will give you a visit. If you want to see her during the day time, you can always change the time on your computer and iGoogle settings.